Hat tip Support public services and don't let the condems destroy them. 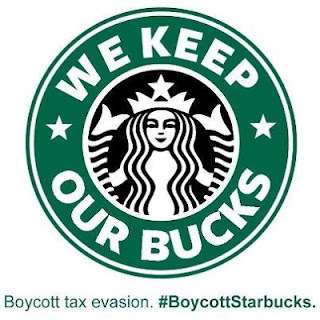 Check out post on Starbucks as tax cheat and state benefit spongers here. Well you cannot surely rely on anything the Murdock press says about politics. It is usually just lies. Not sure either what is being alleged? Saving a future buyer tax or future mortgage payments? What has this got to do with evading taxes by pretending to pay licence fees abroad? 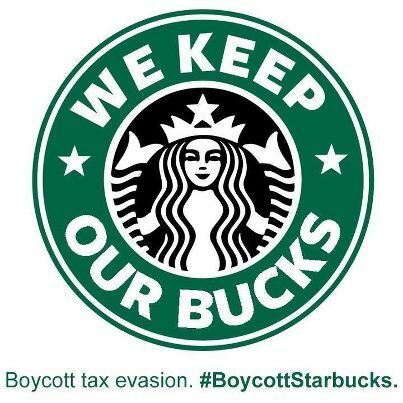 Since you fail to ID yourself I assume that you must be part of the Starbucks dirty tricks campaign that is going on at the moment. Starbucks - if you are in hole, rule no 1 is stop digging. Pay your taxes and stop running stupid anon campaigns to try and persuade people you have any morals. You don't.